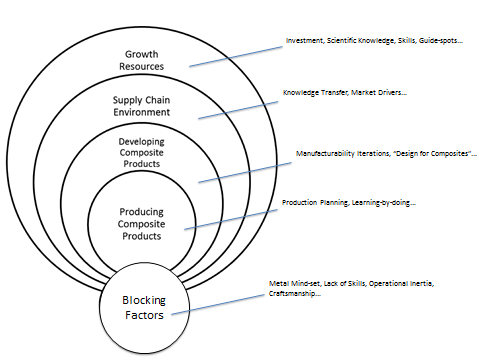 This work takes a critical look on how communities of practice approach composite material technologies and how knowledge and organisational requirements enable faster and more effective increase in production volume. The work will develop a holistic understanding around the issues that enable building composite material capabilities and creating industrial growth from a cross-sectoral point of view. 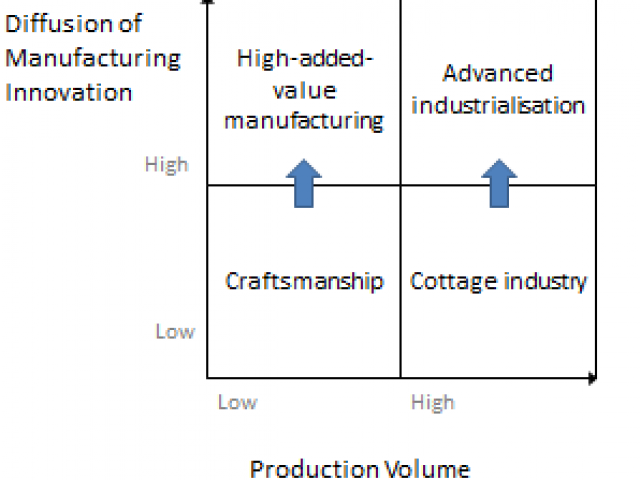 A series of empirical studies investigates the process of building manufacturing competence and dealing with obstacles related to the difficulties of industrialising composite products. 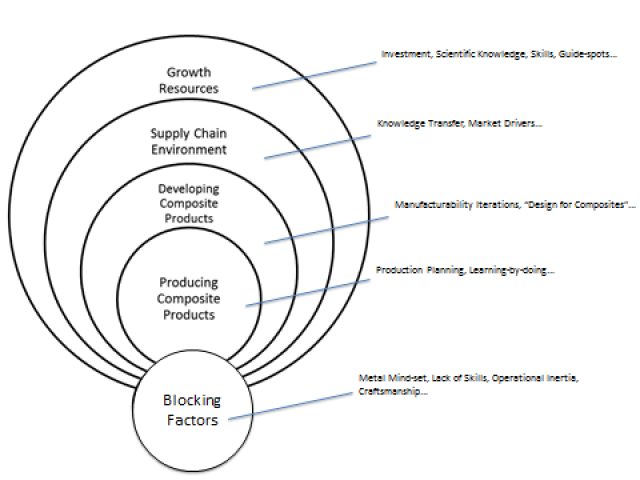 Implications of the theoretical perspectives are related to companies that are currently looking for means to industrialise but find themselves lost in the world of available knowledge that seems relevant but doesn’t relate to the specifics of their own situation. 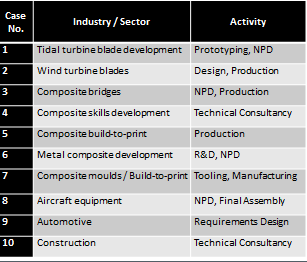 This work will enable everyone who aspires to comprehend the theoretical implications of technological competence and skill/expertise development in the composites industry. It will also shed some light “inside the black box” of composite product development and the decisions related with the TRL “valley of death” in order to contribute to the growth potential of the industry. 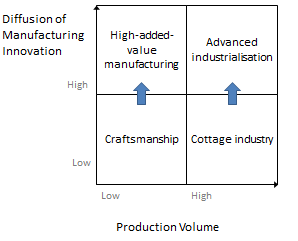 The expected long term impact is to enable industry to assess the commercial advantages of using new composites process technologies and to make investment decisions for new applications. 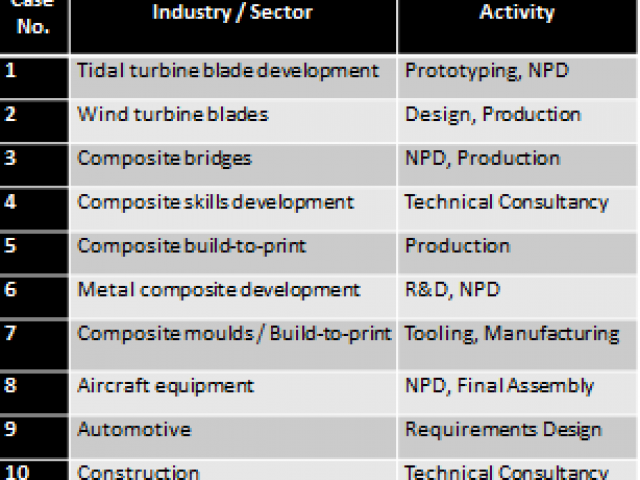 These activities should increase composite manufacturing turnover and enable growth of carbon fibre composites into new markets.